So let me get this right out of the way. 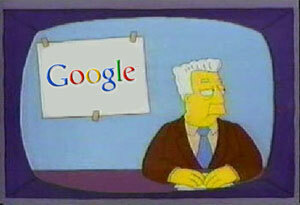 I for one welcome our new geospatial overlords. I’d like to remind them that as a trusted GIS personality, I could be helpful in rounding up others to toil in their underground geoprocessing caves (see here: http://www.youtube.com/watch?v=Xs74VYDNDXE). I had seen the announcement of Google Earth Builder (GEB) at Where 2.0 and like many of us, I laughed it off as a distraction. Well not anymore as I was lucky enough to take part in a Directions Magazine Webinar today that gave Google an opportunity to show off GEB and I’ve come away impressed. This is a company that has a vision about sharing and visualizing geospatial data and is developing tools to make publishing and visualizing it, much easier. Imagine a combination of Esri, Geocommons, SimpleGeo, Cloudmade, Microsoft and a little Amazon (It doesn’t do everything they do, but crosses all boundaries. Who else by Google could do that?) thrown in for good measure. You can view the GEB webinar on Directions Magazine by registering. If you get a chance to see it you really should. Basically Google gives you the ability to upload shp, csv, kml, GeoTIFF, JP2 or MrSid with almost no limit in file size. Plus 3D models (COLLADA and probably SketchUp) are also supported. You manage it with a Voyager GIS/MapInfo Manager looking tool and then visualize it using Google’s map styling tools. On the fly rendering of vector data, your vector data (Freaky, right?). On top of it all they give you advanced analytic tools to see who is using your maps. Data sharing? As simple as the data sharing you’ve already seen with Google Docs. Plus tie in OAuth2 for granting access to resources. Bam! Google is delivering access to this data via the web browser, Google Earth, Mobile (iOS and Android), the Google Maps and Earth APIs, OGC standards and as raw vector features. That means no matter where you are, the data will be available on your platform (Missed references to Microsoft Windows Phone, but that’s got to be around the corner, cough). GEB is built partially on Google Fusion Tables, so if you’ve already gotten familiar with that product, you should be able to get working with GEB. The limits of features goes up million fold vs Fusion Tables and you get that great rich cartography visualization tools I talked about above. Pricing is still vague, but Google is looking at this as a Page Views vs Storage model. You get changed based on how many map views and disk space you are using, but they aren’t tied together. You could have 10TB of imagery on GEB but accessed by 2 people, or you could have one dinky little KML accessed by millions of users. The licensing scales either way. The commercial version (I’m assuming this is a reference to the federal government already using it) is due out this fall. Google will have tools available for migrating ArcGIS Server for Server implementations which they didn’t get into details so we’ll have to hear about their plans for Esri users. Quite a bit they talked about migrating Esri products and data formats to GEB so it is clear who they are going after. So as I’m sitting there, all I could think of was how many different ways WeoGeo can work with GEB. We’re looking forward to working with the GEB APIs for delivery of WeoGeo Market and Library data and hope to talk more about it over the summer. Very exciting times! 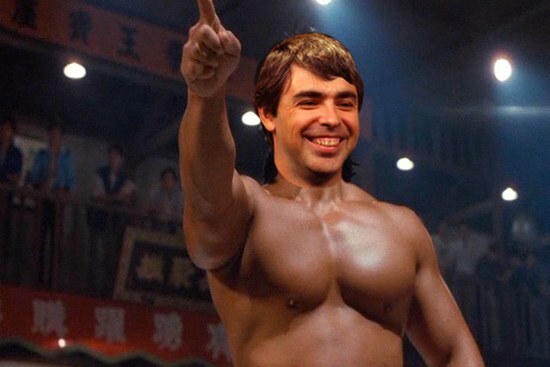 Larry Page is gunning for you. Look at those pecs!